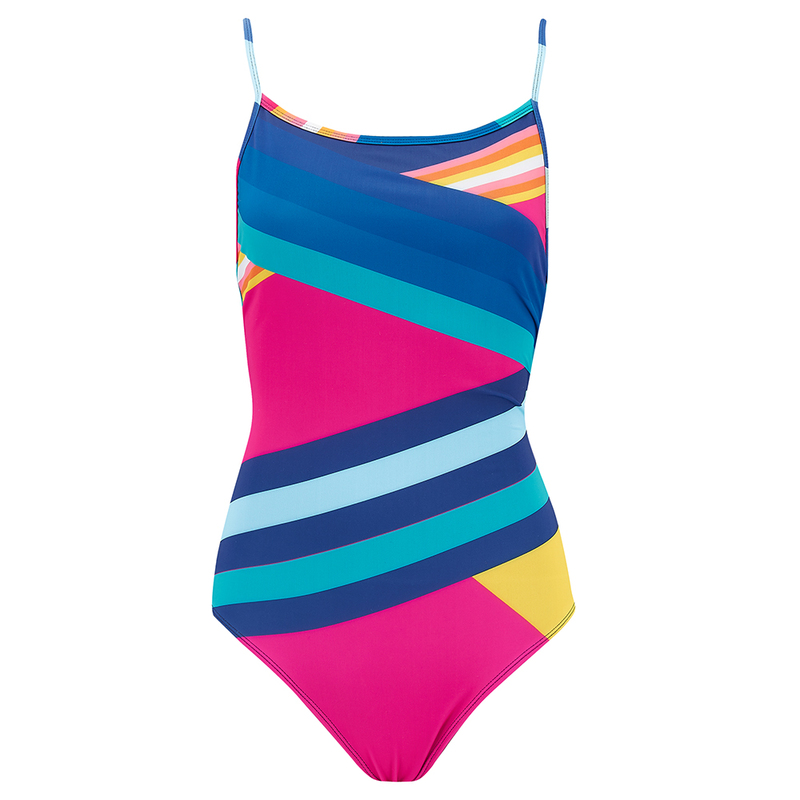 One piece swimsuit with a low cut back in a bright colour-block print. A bold graphic print with cleverly placed stripes to slim and flatter any figure. We’ve updated the cut this season to feature delicate spaghetti straps which can be worn crossed or straight at the back and high cut legs for a flattering fit.